Everyone knows that Facebook has become absolutely massive, but it’s easy to lose sight of just how big a number like 250 million is. Buzzpoint, a social media marketing firm based out of Los Angeles, has put together an impressive visualization that shows off just how large Facebook has grown. The company has estimated the current and past Facebook usage statistics using available data and plotted a number of graphs tracking its progress over the last three years. I’ve broken the image (which is quite massive on its own) into a few chunks below, and you can download the whole thing here. 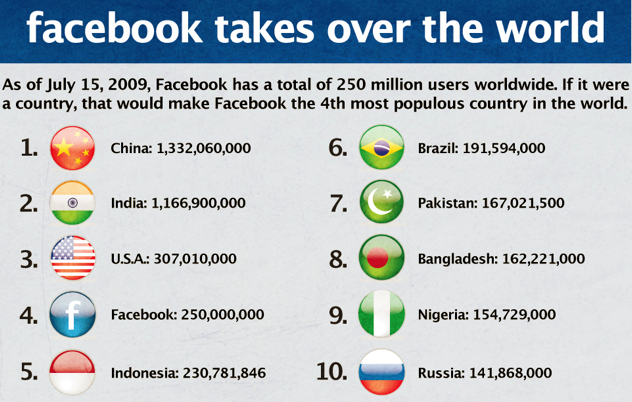 Among the more interesting stats: as of July 15 2009, Facebook had 250 million active users, which would make it the fourth most popular country in the world. 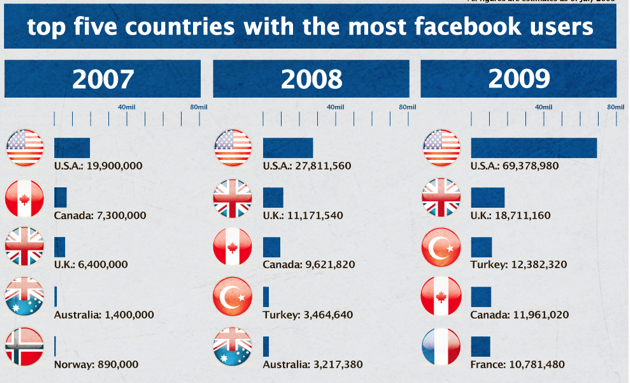 Facebook’s top two traffic contributors are the US (by a large margin) and the UK, but in third is Turkey, which didn’t even have a localized version until last year (though English is fairly common there). 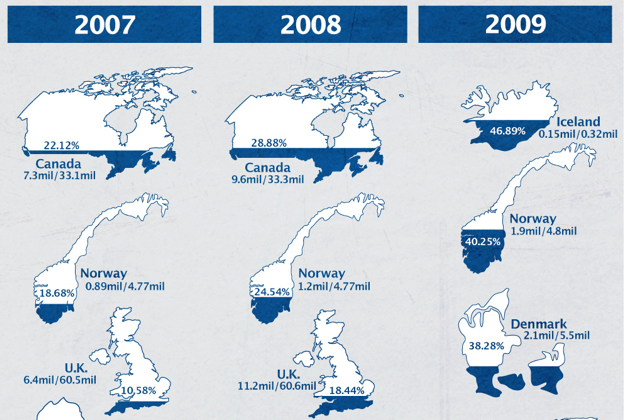 For more interesting stats, take a look at TechCrunch alum Nick Gonzalez’s site CheckFacebook, which maps out some of the site’s most up-to-date demographic data.